Today the chili sauce I made yesterday was sitting bubbling in two gigantic Crock pots, awaiting my attention. So I had to can it. You always think it will be easy. Then something always complicates things. Today it was that I had all wide-mouth jars and not enough wide-mouth lid rings. I did have the lids. I found them in a plastic bag in the cellar, still in their little supermarket box. But the rings that fit around the lids and hold them down, that was my fatal error. When I cleaned the kitchen a few weeks ago I do remember throwing a couple of them out because I got into clutter-cleaning mode. This was the wages of that. Many many trips were necessary into my cobwebby 1920 cellar. Every spider in the Western Hemisphere must be in my cellar! I could not walk anywhere without going, "Eeeeeuuuwwwww!" As the project squeaked forward there were long vast lots of time that had to be filled. I went over to the piano and sat there in my apron and played Beethoven's Sonata Op. 101 which always calms me down in stressful situations. It is like getting a massage! Not that I have ever gotten a massage but I think if I got one that is what it would feel like. Then I got the big pot of water boiling for the jars and played Beethoven Op. 109. That is my favorite Beethoven sonata! Well, I do not like to talk about favorite anything because there is too much competition. When it came time to put the chili sauce into the jars, that is the really stressful part! I am always worried about whether the jars will seal right. There is always something. I sealed up the first seven and got them into the boiling water. While they boiled I horsed around with my new record player/CD burner. I was trying to make a CD of Leonard Pennario playing this Beethoven sonata I love. I was in a Beethoven mood today! And I thought tomorrow being Monday it would make my life easier if I could take along Pennario's Beethoven. Nothing is simple and when I got to the last movement the display on the record player was reading: "Fail." The appliance is telling me I failed! Howard and I always joke about appliances telling us stuff. Our favorite is when the appliance tells you "Wait." You are standing there waiting because the appliance is telling you to. ... playing that sonata which, I am sorry but it is nowhere near as much fun. Pennario's is explosive. It is as if you took your TV and turned up the contrast. The good news is all but one jar sealed. Ta da! I have 12 jars of chili sauce sealed and only one that is not and what the heck, that one I can eat right away. You always want one jar not sealed properly because that is your excuse to eat that one right away. Maybe I will make something with it and take it into work tomorrow. I will not have Pennario playing Beethoven but I will have chili sauce. That is something anyway. 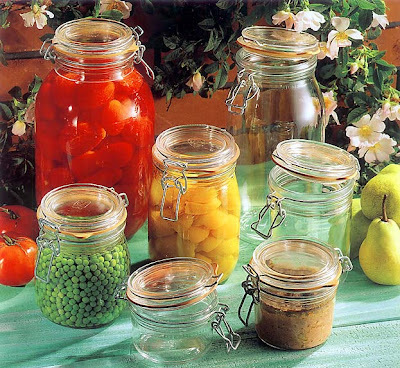 Isn't that a great canning picture at the top of this post? Here is another one I love. 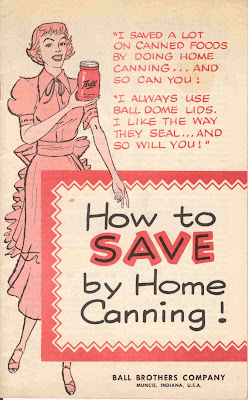 Now I kind of want to do more canning. 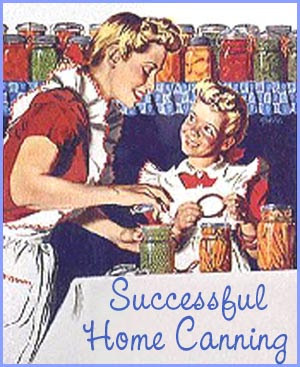 Canning is like that. You get everything assembled ... the jars, the lids, the rings, the little grabber thing that grabs the cans out of the water. And then you see pictures like this. And you want to do more. Hmmmm. I have so much in my kitchen. I have so many options. I vote for apple butter or cranberry conserve. Niagara Falls, I love that word "conserve"! And I think the apple butter is a fine idea. I can use those Ginger Golds! thank you for making my day, Its nice to see that some people still cling to the past more than I do. 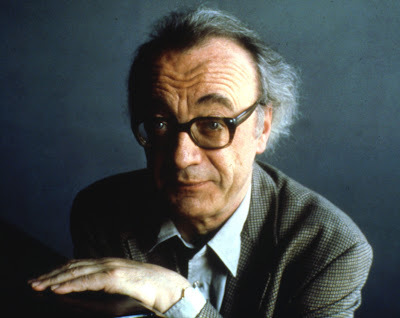 I love Brendel's Beethoven. It would be amazing to hear Pennario play it though. I can just imagine that! And *only* imagine.